And it’s time for another blog tour! I watched the #JustWritePH from the sidelines via Facebook and Twitter, and I want to say how proud I am of this initiative. I’ve always said that the PinoyWriMos were the most inspiring bunch of writers I know, and I’m even more inspired now that this has happened and there are a lot of new stories for everyone to enjoy. 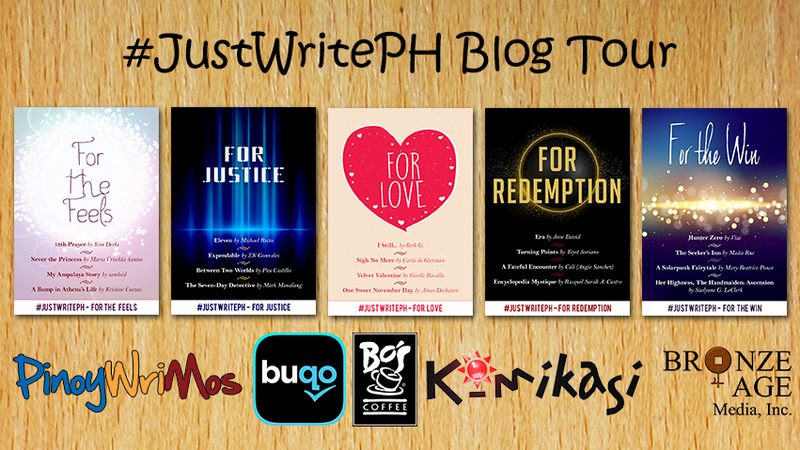 What is #JustWritePH? The #JustWritePH workshop, which ran from July 1 to August 8, 2015, challenged participants to write a story and prepare it for publication in a little under 6 weeks. Tips and lessons were delivered online & in person. The reward? Guaranteed distribution on Buqo, plus marketing opportunities like a bundle launch (held at Bo’s Coffee Megamall on August 22), a Facebook party, and a blog tour. Love is never easy, but the journey to that happily ever after is what makes it worth it. Witness the struggles of these characters as they work their way through both new romances and second chances at love in this four-story bundle. 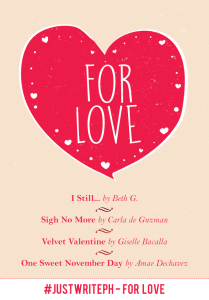 Features “I Still…” by Beth G., “Sigh No More” by Carla de Guzman, “Velvet Valentine” by Giselle Bacalla, and “One Sweet November Day” by Amae Dechavez. Beatrice and Claudia never thought they would see Benedick and Hiro ever again, not that they wanted to. But when the business opportunity of a lifetime hinges on Ben and Hiro’s work, they find themselves head over heels and crashing into the boys again. But why did they ever have to be apart in the first place? Can Hiro win Claudia’s heart back? Can Beatrice and Benedick ever stop fighting? This book is a modern retelling of William Shakespeare’s Much Ado About Nothing. I read and liked Carla’s two previous works, Cities and Marry Me, Charlotte B! so I was very happy when I saw that she had a story in this bundle. I liked the set up from the very start, with Beatrice and Claudia and their stationery/art store. I liked their friendship and their banter, and they were two very fleshed out characters from the start. Then Ben and Hiro arrived, and madness ensues. But seriously, Ben and Hiro were just as charming characters, and funny, too, especially when Carla brought us back to how they met and what happened then and now. Ben and Bea were the main characters here, so most of the focus was on their love story, and I loved it. I liked that both their perspectives were shown, and it was very entertaining once some plans went into action. I liked the panic in Ben and the hesitation that Bea felt, and it made me curious why they weren’t together when they were so obviously good for each other. The story unfolded gracefully, and I was really invested in them, so much that I already saw who was the real problem in the story even before the characters decided to do something about it. Right. Morning outfit selfie. Here we go. I really looked awful in the morning, all messy hair and puffy eyes. That last beer really was a mistake. I adjusted the angle of my phone slightly, before I gave the camera my brightest, still-slightly-sleepy smile. I hadn’t really thought about what I was going to wear today (horror of horrors) and I ended up with my loose, ripped drawstring jeans, my favorite chunky sandals and a loose white shirt. It was going to be another hot day in DC, so a pair of plastic cat eye glasses went with the outfit. I put my hair up in its usual half-topknot and grabbed Claudia’s peach lip tint to swipe over my lips. I looked into my vintage full length mirror and snapped the photo. That sounded good, didn’t it? I frowned little at myself in the mirror. I widened my eyes until I looked crazy and puffed out my cheeks. Gaze into the eyes of an underpaid, overworked, under-slept self-starter! Claudia Crowne and I quit our jobs two years ago to start our baby, the Noble Crowne Paper Company. We started out with small jobs, making invites for relatives’ weddings, postcards and notepads. Then the next thing I knew, my life turned into a whirlwind of printers and paints, clients and meetings. Suddenly my social media posts were more important than times in and out, my 9 to 5 had turned into 24/7, and the voice in my head telling my that there was something inherently wrong with doing what I loved had finally dulled into a whisper. Was it scary? It was still, in a lot of ways. Sometimes I think that it’s all been a fluke, or a dream of some kind, but then I check my ratty old filofax and the list of things I have to do just make me feel happy. It’s so weird. Which was why, when I arrived at Petit Jolie, I wasn’t at all surprised to see that Claudia was wearing a short, sleeveless tunic printed with orange roses, mums and little red flowers that I used to pick from bushes as a child. Claudia made that dress from a pattern I gave her when I was first starting to paint. Now almost every piece that we produced in our little stationery company featured my hand painted flowers. “You couldn’t be just a bit more subtle?” I teased, kissing my best friend’s cheek as we sat on our usual table of the corner cafe. Claudia and I lived within walking distance of each other on Kings’ Street in Old Town, Alexandria, a little neighbourhood in Virginia that still had wrought iron street lamps, twinkle lights on the main street, small Victorian buildings, shops and boutiques just by the Potomac River. I loved our neighbourhood. It was so pretty and quaint, despite being a stone’s throw away from Washington DC. Petit Jolie was a small boulangerie in the middle of an American street and smack dab in the middle of the town. It was also where the idea for Noble Crowne was born. 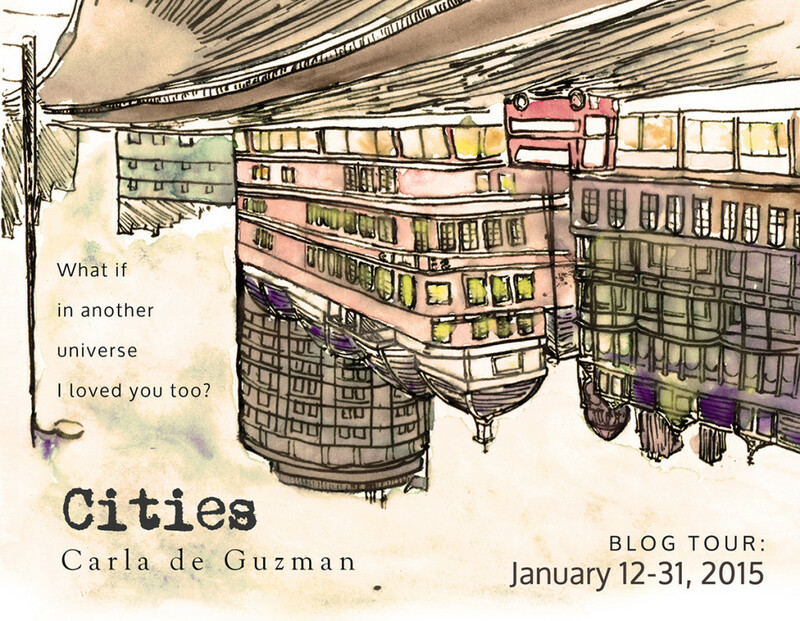 So today I break my blogging silence in the middle of all the Papal Visit stuff because I Like It Dog-Eared is one of the stops for the Cities Blog Tour! Here we go! My 3 favorite cities in the world, listed in no particular order. I’ve included a photo that I took myself that kind of shows what aspect of that city I love the most. 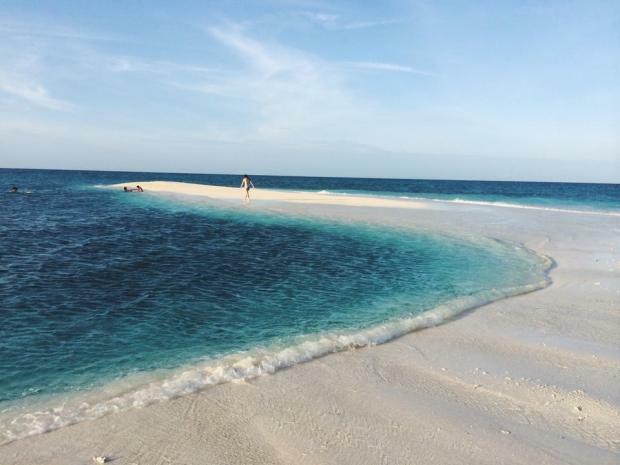 Can this island be counted as a city? This was one of those trips that I didn’t expect to go on, and yet loved every minute of. It doesn’t get more beautiful than turquoise seas, white beaches, gorgeous waterfalls and delicious Italian food! Who needs cellphone signal in paradise? We stayed here for a week when I was fourteen, and we were lucky enough to come back last year for a day trip. The whole city has a chill, artsy vibe that I love so much. The weather is always cool, and there’s always something to see. 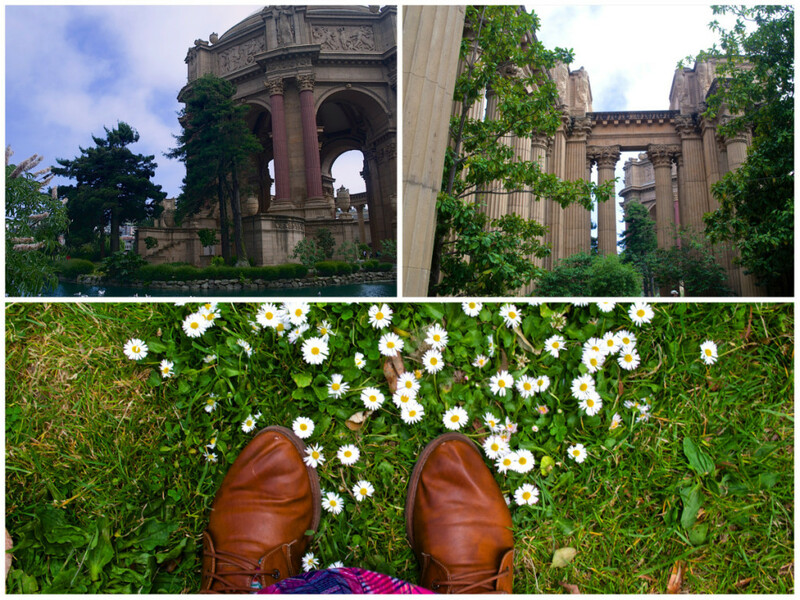 While walking is a bit of a challenge, it’s a beautiful city to visit. Plus there are so many Filipinos around, it feels like home! 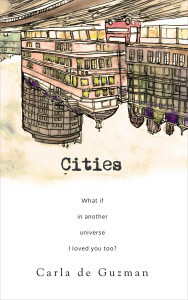 I read Cities last year, and I really, really enjoyed it. If you’re just reading it now, it is confusing at first, but I tell you – hold on, and you will get it. :D If you want to win a copy, join the giveaway below!